6528 Cerantes Road, Port Renfrew B.C. 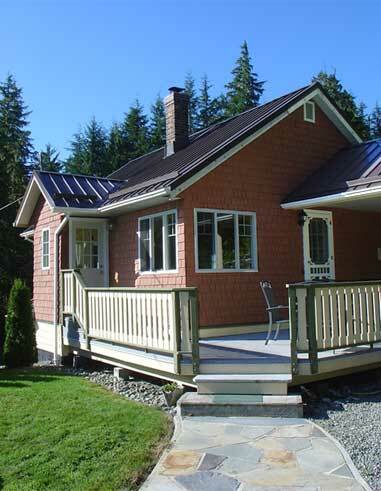 Botanical Getaway Guest House is located in beautiful Port Renfrew, on the rugged West Coast of Vancouver Island, in British Columbia. This newly renovated three bedroom guest house has blended country charm with all modern conveniences. Completely self-contained, the Botanical Guest House features a fully equipped kitchen, satellite T.V., Wi-Fi, comfortable beds, all linens, washer, dryer, BBQ, large deck, fire pit and a deep-freeze to store your catch of the day. This accommodation is centrally located in Port Renfrew with only a ½ km to the restaurants, pubs, wharf and Snuggery Cove Marina and 3 km to Botanical Beach Park. A 5 minute walk in the forest takes you to a lovely, quite beach with breathtaking views. Port Renfrew is a paradise for nature lovers and outdoor enthusiasts, which draws people from around the globe. This area is well known for its productive ocean fishing of salmon and halibut. It is also the trailhead for the world-renowned West Coast Trail and the Juan de Fuca Marine Trail!